Simply by coming to this site you have taken the first step towards beautiful, healthy hair. How do you get beautiful hair? It all starts with the health of your hair. What condition is your hair in? Sarah will be happy to help you attain healthy hair to help your natural beauty shine. Schedule with Sarah now to see how you can acieve healthy hair. We accept Mastercard, VISA, AMEX, Discover cards. 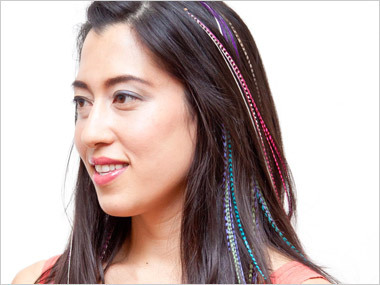 Feather Extension now available with Sarah!